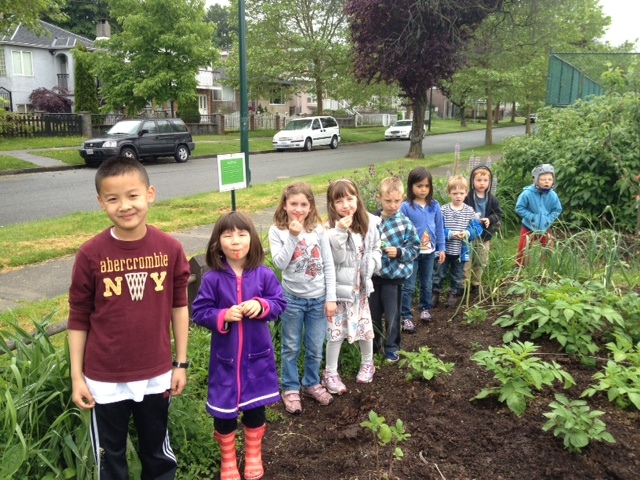 All of the K-4 students met in the Garibaldi Garden to set the butterflies free! 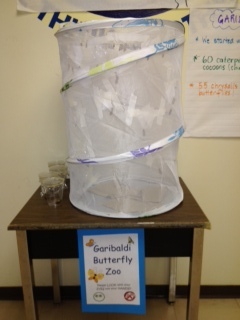 As each butterfly flew out the top of the “zoo”, they were greeted with cheers. Very cool! Thanks so much to Jana, Maya and Julian’s mom, for her help with this special project! Grade four students have been busy sharing their expertise about the garden with younger students in the school. We are ready to give tours to parents, siblings, grandparents, aunts, uncles, neighbours, and visitors to the school. Arianna’s Mom donated bulbs to Garibaldi School. We were suppose to plant them before the first frost. We didn’t get them in the ground on time. We planted them in our class garden and the fence by the parking lot. We are hoping they grow. We know they might not. grow. We saw LOTS of worms. They are very healthy and some are HUGE. We also saw centipedes and things we call “rolly pollies”. Please don’t pull out the bulbs. There are still some bulbs left if someone else want to plant more. Plan: To build four additional raised beds. See plan below. Our plan is to decrease foot traffic through the growing areas and also to make gardening more ergonomic and aesthetically pleasing. To build the four raised beds (see the sketch below for dimensions and locations), we will need about 150 ft of fir 2”x 12”planks at a cost of $1/foot. Estimated 4 hours of labour will be needed to cut and screw the beds together. The wood will then be treated with Cedar Shield oil to preserve it and increase its life-span. Cost is $200/5gallons. Left-overs can be used for treating our tool shed and composter. The beds will be filled with soil immediately to make them immovable. Our second organic manure sale is scheduled for the weekend of Feb. 25th / 26th, 2012. The plan is to have the raised beds built and treated by that date so that the raised beds can be filled with compost, manure and soil. We are hoping for an early approval date to make this happen. This map is not to scale but does show the location of the school beds. There is a bed for each class in the regular K-4 program and one for the Home Learners’ program. 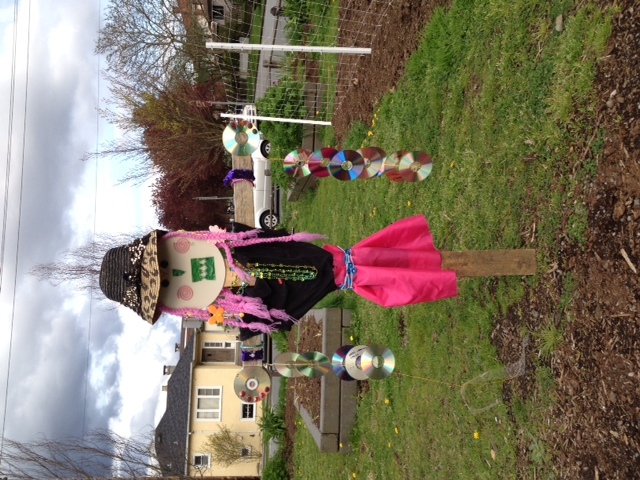 There is also a shared vegetable garden bed, raspberry patch and a strawberry patch. The last three beds are enthusiastically tended by the Garden Club sponsored by Ms. Froese.